So for this month’s book we decided to review Divergent – a three series book created by the author Veronica Roth. The motion picture film was released late March 2014 – though be aware that this review is solely reflecting our perspectives on the book. I thought this was a good read. If you love the hunger games trilogy you will love this book. However I did this book a little annoying in places. This book written by Veronica Roth is the first in the trilogy and is very much intended for teens (young adults). The story follows Beatrice Prior a 16 year old girl. This series has an unusual concept which I haven’t seen before in a book and very much enjoyed this. The book does contain a few plot twists which keeps the mind guessing, something I really enjoy from a book. This book I feel would be suitable for any boy or girl, covering a variety of different areas such as science fiction, Romance and action. Honestly, I was a bit reluctant to read this book at first; after it having reviews claiming it to be a knock off of The Hunger Games – but I was hooked from the start. There is a comparison: focus on one girl, different districts (in this case faction), and at a certain age (16) you have to undergo an aptitude test to determine which faction you’re meant to be in: similar to ‘the games’, each district is kept to themselves, so if you chose to move to a different faction – you are essentially leaving your old life and family behind. In my opinion, if you liked The Hunger Games, you’ll love this set of books. The body and content is hooking, visual and graphic – exposing your imagination to this perplexed way of life that seems all so realistic. 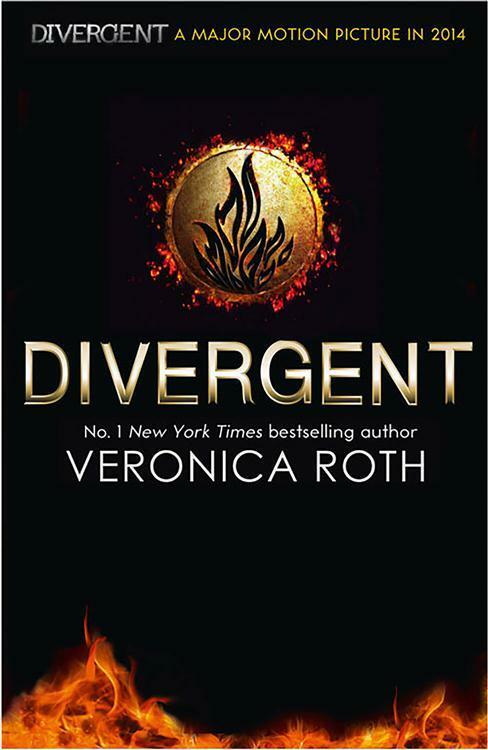 Categories: Reviews | Tags: book, Divergent, review, Veronica Roth | Permalink. I enjoyed reading two different reviews on the same blog, which goes to show we ARE divergent and can celebrate our uniqueness in the real world! Thank you for your lovely reply and this is very true we are all unique. Please keep reading as lots more interesting and fun posts coming soon. Also if you wish to recommend any books for the SGO book club to read, please let us know.